There have been a lot of rumours and a lot of questions regarding when Samsung will launch its upcoming flagship Galaxy S7 devices. Earlier, it was expected that Samsung would unveil the devices at the CES conference to be held in January. Next up was at the MWC scheduled to take place in February. Now, word from China Mobile, China’s leading carrier, is that Samsung will present its flagship devices in March. The above image was taken at a recent event where China Mobile revealed its roadmap for the coming months. 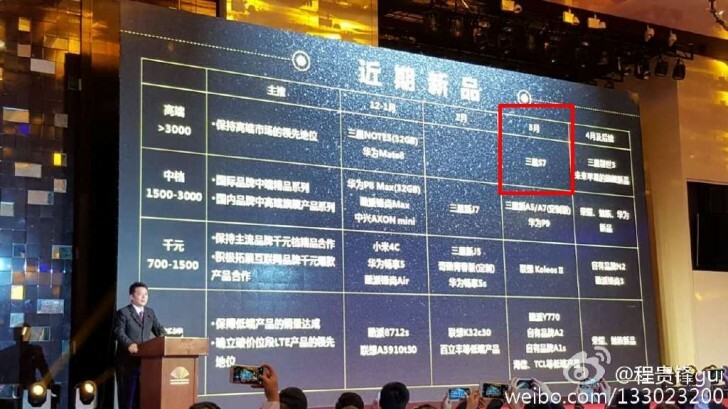 The roadmap also revealed the possible price range in which the Galaxy S7 will fall – above RMB 3,000, which means north of $465 (roughly Rs. 30,000, although the actual Indian pricing is expected to be higher that that). The roadmap also revealed information about the Huawei P9 and Samsung’s new Galaxy A5 and A7 devices, among others. 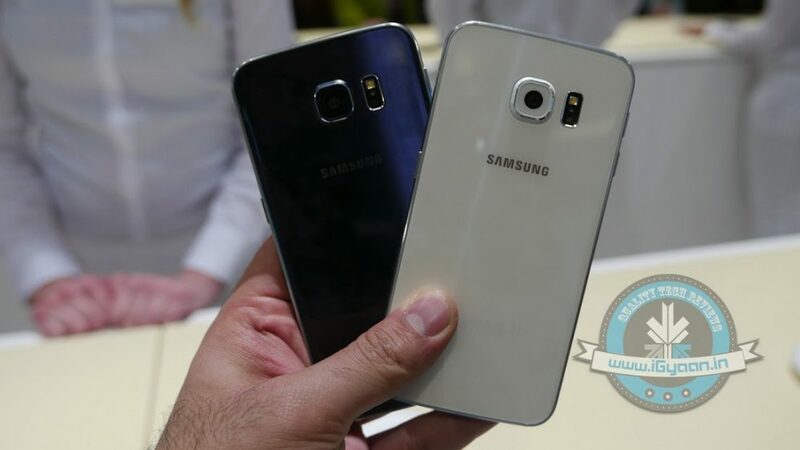 Not much is known about the flagship device as of yet, but what is almost confirmed is that the Galaxy S7 will arrive in two variants – one powered by the new Snapdragon 820 chipset and the other being Exynos 8890. More will be revealed as we approach the launch date. The March launch does put more credibility to rumours that Samsung could launch the device at the MWC late February, while the U.S launch is expected in mid-March. Follow this space for more on Samsung’s upcoming flagship smartphone.